Organization is crucial if you're working on a set, especially if being disorganized means bringing the entire day of shooting to a screeching halt. Here's a terrifying on-set scenario: Your entire crew has worked super hard to get the set ready for the next scene. The talent is completely prepared. Everyone's all set up. You change out the battery for your camera only to realize—it's dead. And as you fumble around looking for a fresh one, everybody is looking at you and it's mortifying and you can't find a good battery because how the hell are you supposed to know which ones are good when you don't have a system for that and now you're thinking your dad was right about going to business school and quitting "all of this Hollywood crap." (We've all be there, right?) You need to get organized with your batteries, bruh. If you're in need of solutions when it comes to gear management, these Wolf Packs from Fangs Film Gear might be a good fit for you. They have a simple green-for-go, red-for-no design; put your fresh batteries in the green pocket, and your dead ones in the red. They come in three sizes to fit the volume of batteries and/or memory cards you go through, which is especially helpful for those that work on long shoots and need to change out their batteries several times throughout the day. The Wolf Packs also have a carabiner so you can hang/attach it anywhere, which is a pretty nice touch. There are certainly some cheaper/free ways to organize your batteries and memory cards so you can be more prepared when you walk on set but if you've got a little change you're looking to spend on something specifically designed to help manage your gear, the Wolf Pack looks like it does just the trick. Head on over to Fangs Film Gear to learn more. How do you organize your full/empty batteries and memory cards? Let us know in the comments below! 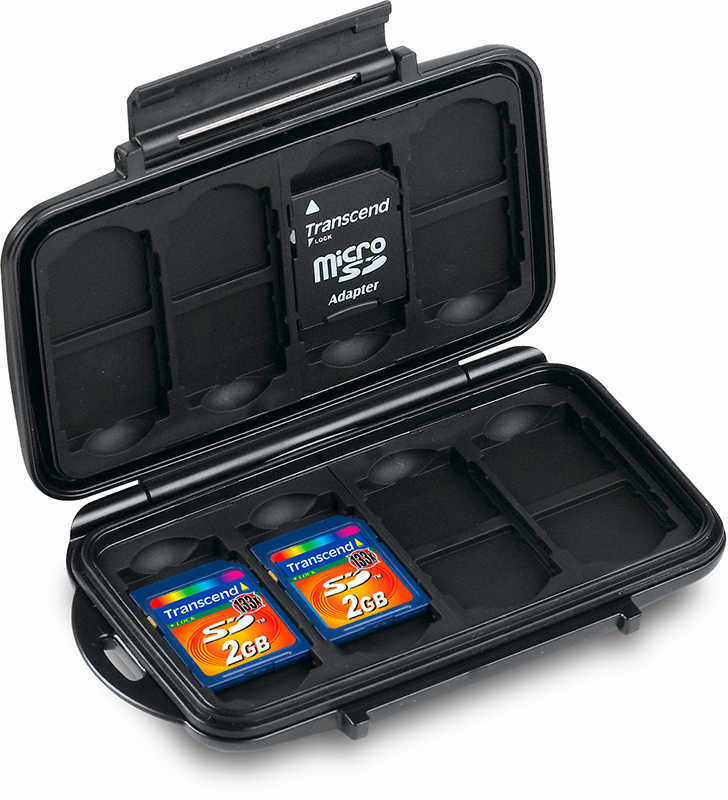 I carry my memory cards in a Pelican Memory card case. The cards that are "fresh" are the "right way up", and the cards that are full are placed upside down. For batteries I use two separate cases. One for fresh batteries and one for "dead" batteries, and these two cases look nothing alike so it's easy to tell them apart. I use the same (well, the ones with room for 12 cards), and mark one case with green gaffer's tape, and the other with red gaff tape. Cards in the green are formatted and ready to use, cards in the red case have footage, and the red case lives in the DP's pocket. If, heaven forbid, a camera gets stolen, all the day's footage survives. I number all of my batteries with a silver sharpie, then just always shoot through them sequentially. I shoot on an A7S, so it eats through batteries left and right. This has always been a very efficient method for me. Of course, since I'm shooting DSLR switching cards really isn't an issue (I have a 256gb card that holds something like 10 hours of footage, and all my backup cards are different sizes, so they're essentially already labeled), but the system works there too and I've used it a few times in the past when I was working with 32gb and 64gb cards that I actually had to swap periodically on long or multi-day shoots. We use colored tape to mark used batteries and medias. Is this a joke? "Wolf Packs" can't possibly be serious with their pricing! I've always had a lot of luck using the battery caps as a marker. Cap = charged. It comes off when it goes in the camera, and stays off until it comes off the charger. Yup, same with me, never fails. CAP = Charged. Once cap is removed I place the used battery without a cap into the battery pocket. When shooting is done - batteries without the cap goes to the charger. Before a larger shoot I double check my batteries just in case - you can't blindly rely on that capped are charged (it might have been a while since the last charge or just being human and you forget things). Way too expensive. Also, I don't like the fact that you just dump the batteries into a sack and they move around etc. Fresh batteries go with contacts DOWN. Once used you put it back in with contacts UP. This way when you open pouch and you see battery contacts up, you know they are used. Anybody else cringe at 1:58 on the second video, where SD cards are just floating around with (relatively) heavy batteries? That looks like a recipe for something getting dropped/lost/broken. Yup, felt bad for those SD-cards. Just a few good bumps and if you are lucky you have the SD-card in the middle of two large-ish batteries aaaaand it's cracked. I always have the cards in a separate small hardcase and use the face-up/face-down method that someone else also mentioned above. I have transparent battery cases and inside of each is a small card that's green on one side and red on the other. Red side up = dead. Green side up = go. When running and gunning I keep batteries in my vest pockets, charged on the right, dead on the left. I don't even need to look. Why anyone would shell out that much money for a bag that's always going to be half empty with stuff clanking around in it is beyond me.